This box ring has an etched motif on the sides of the shank. 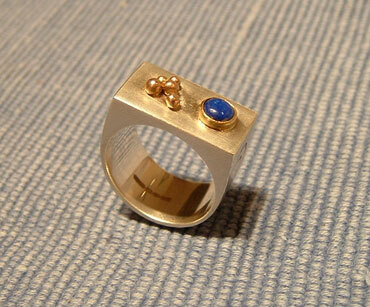 The pretty blue lapis lazuli stone is set in 18ct yellow gold alongside granules of rose coloured 9ct gold. Size P.